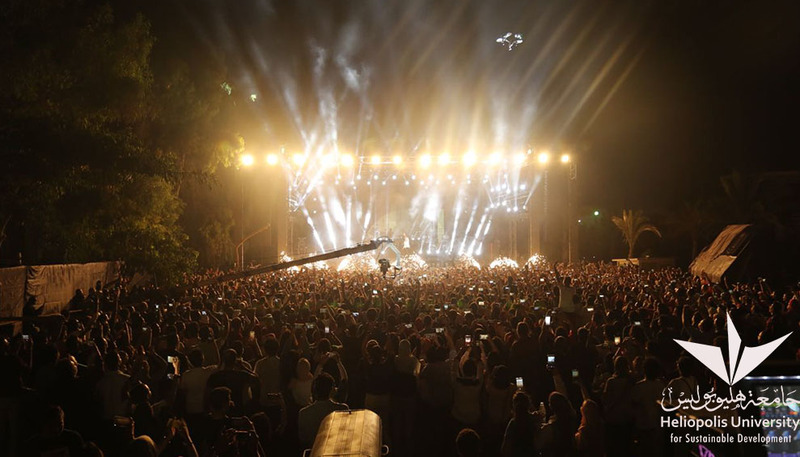 Over 3,000 fans screamed as Tamer Hosny made his dazzling entrance to the stage of Heliopolis University last night. 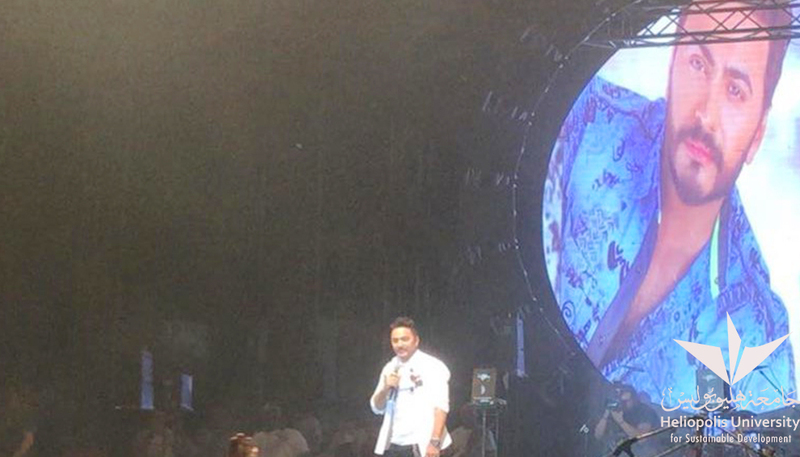 The multi-talented singer began his performance with a song from his latest album “Eish Besho’aq.” It was a a great surprise for his fans, who began arriving at the university campus more than five hours before the 8 pm concert. Hosny continued entertaining his fans with a number of his greatest hits who stayed on their feet for the two-hour concert. 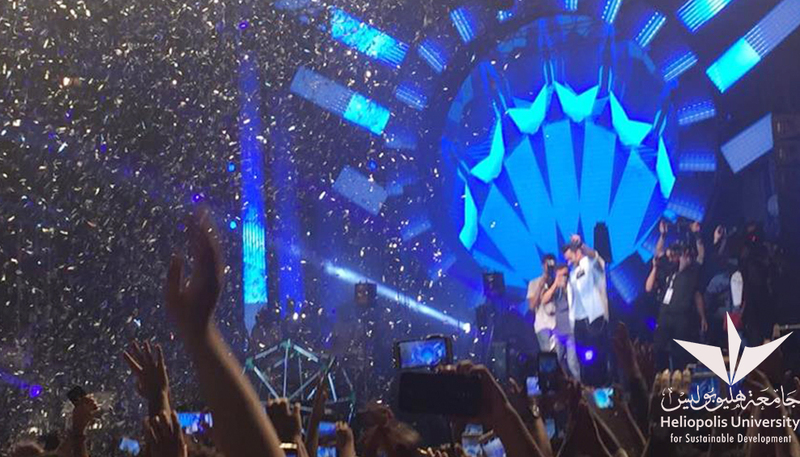 The concert was a spectacular musical show supported by stunning fireworks. 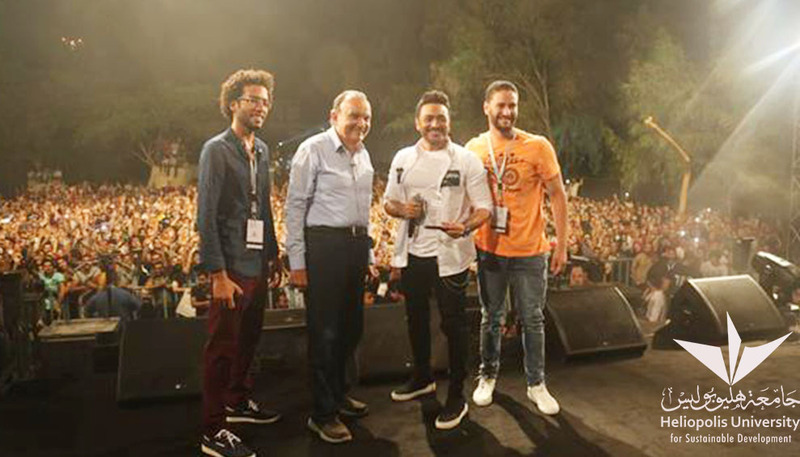 At the end of the concert, Mr. Mohamed Gamal, Heliopolis University Secretary General together with HU Student Union representatives Mina Max and Islam Ibrahim presented the university shield to Hosny honoring him for his latest contributions to contemporary music. Tamer Hosny is an Egyptian singer, actor, composer, director and songwriter. He launched his solo career in 2004, becoming a successful singer of romantic music and was given the nickname “King of Generation” by his fans.